Randy (not his real name) is a very intelligent boy whose school learning experience has been somewhat marred by his unique learning style, his inventive genius that cannot find a ready outlet in a formal school setting, and his emotional reactivity (most of which is neurologically, neurochemically and biochemically outside his direct and immediate control, but for which strategies can be developed at the personal, family and school level). Randy and his family are working diligently to help both Randy and the school adapt to each other in such a way as to produce the minimum of stress to all parties, and to maximize Randy’s learning possibilities at school and elsewhere. Several gentle neurological, neurochemical, and biochemical approaches are being tried with some success in an effort to assist Randy to reduce his emotional reactivity. A number of personal strategies and home accommodations have assisted Randy greatly, and it is hoped that the school personnel are able to continue to provide some accommodations that will assist Randy in this effort. Randy has internal auditory processing difficulties. He has received some treatment for this and may require further treatment, but would need to be tested clinically again next year to ascertain his current level of neurological development with respect to listening comprehension. Randy is a “haptic” learner (which means that he requires his body to be involved in his cognitive processes, his learning processes). This is not easy for a school to accommodate in a formal classroom setting where all students are expected in general to remain relatively still in their seats and perform “paper and pencil” tasks. Haptic learners require body motion in order for their brains to function effectively, and for them to contain/restrain/discharge emotional reactivity. The challenge is to have the student engage his integrated body/mind system in ways that involve effective functioning of both without unduly disrupting the classroom setting.For example, some classrooms permit haptic learners to read standing up and walking around at the back of the room so they can function, but some classrooms are not able to accommodate this type of movement, so alternatives have to be found . On the other hand, reading while standing up and walking around at the back of the room seems a lot simpler by comparison with the following example. No special equipment is needed; just feet and book. One classroom had a stationary exercise bicycle in the back of the room, with a lectern wired to it as a sloping-desk workplace for the student, but again some classrooms could not tolerate the noise level if the bicycle were not whisper quiet. One school put the bicycle in a “cloakroom” (which was just off the classroom) and that worked very well, both for the student and the teacher, and the rest of the class. Other classrooms have used less obvious schemes: permitted floor-tapping with the foot (cushioned by a piece of rug for quietness), permitted squeeze-ball in hand while the student works, and so on. The possibilities are unlimited but it is not easy to think of specific things that will work for the student and still be acceptable for the teacher and the rest of the classroom. Some classrooms use Educational Kinesiology (Edu-K) as a general program for all students, and this is a very successful strategy for both haptic and non-haptic learners alike. Edu-K enhances cognitive and affective functioning for all students. Physical aggression against other students. This is the most difficult issue to deal with probably because there is always the danger of injury to students. “Time out” can be effective here but of course loses its value (for the student’s self-cuing) if delivered with anger because the added hierarchical anger usually adds to the student’s out-of-control anger. Anger/aggression is often a “cover” for hurt/humiliation/perceived threat—the anger acts as an automatic anaesthetic for the emotional pain. Displays of anger. Again, very difficult to deal with productively, but easier than outright aggression. Again, anger generally covers hurt/humiliation/perceived threat. “Time out” can be helpful here (see notes on “Time out” in the next section below). If the hierarchical authority can remember that their own anger is generated on the same basis as that of the student (anger covers perceived threat to authority for example), the authority figure can react to the student’s emotional pain underlying the anger, instead of the secondary anger itself. For example, a display of student anger can be responded to with “I” language instead of “you” language: “I’m sorry that you are hurting so much,” or “I’m sorry you are not feeling very good right now,” instead of “You are out of line” or “[You] stop that this instant” Or a combination “descending defuser” could be used: “I feel hurt when I see/feel your anger; I am sorry you are hurting so much right now.” Or, “Your anger scares me/us; I’m sorry you are hurting so much right now.” The advantage of the “I” language over the “You” language is that the “I” language does not require a defending position from the student as the “You” language almost always does.Class discussions about how anger covers pain, how anger is the body’s way of numbing the pain, insult, etc., have proven very useful in many classrooms. Counter-intuitive responses to anger are also very productive, but not easy for authority figures to initiate when they are challenged by anger. When an authority figure hugs an angry student, for example, while saying “I’m sorry you are hurting so much right now,” it drives through to the underlying anger in a way nothing else does. One teacher even had the nerve to reward the student for anger! “I’m sorry your anger is covering so much pain; here is a reward to help you ease the pain.” Counter-intuitive, but productive for the student. Personal ideas and strategies suggested/developed by Randy himself may be useful for the school to consider. “The student as consultant” has proved to be enormously successful in some classrooms, because it tends to reduce the “messy” and unproductive power struggles that inevitably ensue when the student’s particular difficulties are pitted against an existing system that is making what it deems to be reasonable demands on all the children in the classroom. Sometimes teachers, in justified exasperation, order “TIME OUT” in an angry manner, thus losing the value of it. The idea is for the student’s “out-of-controlness” to be a “non-event,” an emotional “rainstorm” if you will, that cannot be changed for the moment so “just put up the umbrella” with emotional neutrality. It is better not even to use verbal cues. Some of the most effective teachers with this use the referees’ or coaches’ “time out” hand signal: one hand vertical under and againhst the outstretched palm of the other hand—no words. Or a shoulder touch. Whatever can be negotiated with the student beforehand. This “emotionally neutral” approach is easier said than done. We are not after perfection here, but only progress. The objective is to gradually replace possible authority figure anger or use of physical force with non-verbally cued “time out ” and with the child’s own self-cued “time out” so that more reasonableness can prevail after the “cool down” period. Some of these “cool down” periods can be remarkably short, especially if self-initiated by the student. The Learning Clinic initiated a visit to Randy’s classroom in the Wildwood School, with the permission and encouragement of the parents and the teacher, Mrs. H. It is Most fortunate, given that Randy is functioning below his nominal grade 3 placement, that Randy was placed in a grade “2/3 split grade” from which the grade 3’s were reassigned after the school year started. Grade 2 is an appropriate academic placement for Randy. He will lose nothing, and may gain much, by being in a classroom more closely geared to his present cognitive/affective functioning level. The relatively smaller class size (18) also makes it relatively easier for Randy to stay on task than in a larger group. Randy’s desk position (right rear of classroom) helps him in two ways (he can stand up, etc., at his desk without being on display at the front of the room; and his left ear is to the classroom/teacher, which helps him with his internal auditory processing difficulties when the teach is addressing the class/him). Cuing Randy is not easy. His double difficulties, both with listening and with making transitions from one task to another make cuing a problem. Mrs. H says that sometimes raising her voice with Randy helps him in the short-term, but is self-defeating long-term because: (a) Mrs. H is not a “yeller” and (b) the voice volume has to be increased to maintain the effect. Non-verbal cuing, such as hand signals or touch, work much better, particularly if agreed to by Randy in advance. Even a whisper in the ear can be very helpful sometimes, because it doesn’t stigmatize Randy by drawing his behavior to the attention of classmates. Despite his apparent “rambunctiousness,” Randy is a very sensitive boy and it is so heart-warming to see Mrs. H operate with him with awareness of his sensitivity. Some classrooms have had success with using “change clocks” to help students with self-cuing to some extent. A specific child, such as Randy, has an analog clock and the teacher says to him that “when the big hand gets to ______ we need to change our activity to ______.” This advance “warning” seems to help some students with transitions. Some students are even using digital clocks for this purpose. Mrs. H already has individual one-to-one reading sessions with Randy and this is helpful; it is understood that the parents also read with him; one strategy that has helped some students who are behind as Randy is for the teach/parent to sometimes just read to the student (even if it a student reading session), making no demands for the student to read; this helps reduce the fear of failure of the student and gives his brain an example of the flow and cadence of reading, especially if the adult enjoys reading; so-called “paired” reading has been used successfully with struggling readers (the adult and the student read along in unison so that the student’s mistakes or difficult words are absorbed in the ongoing flow of paired reading, with purpose of reducing student “public performance” failure and the ensuing embarrassment, humiliation, etc. Randy hates the “baby” words, but has difficulty with more mature vocabulary; many schools have solved this problem by securing books that are about higher-interest topics, but with controlled vocabularies; if the school is not able to do this, sometimes parents have been very helpful in securing the books; such books are available but not easy to find. Randy needs to be the author of his own books; this helps teach students that books are created by real people, not “factories” and gives them unparalleled opportunities to create stories of their own which presumably are of greater interest to them, and which are also familiar to them and thus easier to read; Randy would need a scribe to do this, so that he can dictate the story (it is very difficult for him to use a “pencil and paper” approach himself as he experiences eye-hand coordination problems and small muscle motor problems whin printing); the scribe can print the story or type it on a computer; eventually some students with “pencil” problems are successful with typing their own stories on the computer and then illustrating them themselves. What are the possibilities for teacher aides or volunteers to come into Mrs. H’s class for the purpose of working with Randy and others as scribes, typists, encouragers, readers, etc.? This type of help makes possible much more individual work with students in need like Randy, and the creation of interest in self-authored books, paired reading, etc. Of course, reading sessions need to be “short and sweet” even though Randy needs lots of practice; again, many short sessions with one-to-one help would be a lot better than fewer longer sessions. Reading needs serious attention, and it is hoped that both parents and school personnel can find and implement various projects and methods that will help Randy without adding to his frustration and failure. One set of parents actually hired an inexpensive person to come into the classroom and help their student (and others) with fun reading projects. The only requirement of such a person is that they like and respect the student and that the student like and respect them. A heavily qualified or degreed person is not needed as there is already a fully qualified teacher in the classroom. One parent/school plan provided for some junior and senior high students to come into the elementary classroom every day, on a voluntary basis, in a “cross-age” helping program that brought rich benefits to “helper” and “helpee” alike; this made possible many student-authored books, etc., and much more one-to-one reading time than would normally be possible. One entire school district implemented this plan and it was a great success with the community and students alike. The teachers loved it. Use the student as his/her own consultant for planning purposes (for consequences, for projects, etc.)? Neutral “time out” as discussed above? Mrs. H advises that in general anger is not a problem re: Randy; on rare occasions he has hit another student, but this has not been a big problem apparently; in general, Randy has a good attitude in class (he even hugged the visitor when he arrived!). Seating of the child at the back of the room, contrary to the traditional front of the room where the teacher can keep an eye on him/her; the back position allows the child to exercise movement (in or out of his seat) with minimum disruption of other students and minimum display if s/he leaves the seat to walk around at the back (remember the student as haptic learner needs body movement in order for his/her brain to function)? This has already been implemented by Mrs. H.
Advance notice of changes of activity or schedule (the student has great difficulty “changing gears”)? A personal “change clock” for Randy? More “hands-on” project work, as opposed to the usual “paper and pencil” deskwork? Randy would really benefit from this if some projects can be devised, his hands hurt sometimes when he prints. Use of teacher aides or volunteers in the classroom, as discussed above? A school, inter-school, or district “cross-age” helping program can bring enormous rewards and justify the energy and time required to arrange the logistics; Randy needs a scribe to assist him. The use of water bottles in class. This can be done in conjunction with Edu-K or as a “stand-alone” idea. It has been found that the natural magnesium, in non-fluoridated water provides a calming influence for the brain (magnesium electrolyte is the major electrolyte in the brain) and aids cognitive and affective functions. This is especially helpful for over-active students, but all students benefit. Auditory Comprehension Strategies; use of short sentences and few instructions at one time can help Randy, as can non-verbal cues that result in better eye contact from Randy when he is being addressed or cued. Reading Helps: high interest/low vocabulary books; student “cross-age” helping programs and/or teacher aides or other volunteers in the classroom for one-to-one help; student-authored books; “paired” reading; student just being read to, even when student is supposed to be reading to himself/herself. 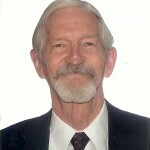 – J. Collins Meek, Ph.D.
Dear Mr. Meek-I am learning the ropes of homeschooling. My son is 11 years old. He is an active learner. So riding hover board or bouncing on an exercise ball while reading seems to make reading not so dreadful. Is there a rule of thumb to expect how long a task or subject lesson can be endured or focused by this age, or an active boy. I feel like I need a creative box or Magic Hat to pull tricks from to make learning successful. I feel like I am stale with manipulation tactics to teach and accomplish a task, subject….Do you have tricks for mom, Maybe I am the one who needs the help instead of him….. Yes, Moms deserve all the help they can get! I have such high respect for Moms in general because generally speaking they “carry the freight” in our society. In addition, I especially honor and respect Moms who have high-energy kids as they are truly challenging, as you know. Please feel free to email me directly, using my usual email address, docmeek@gmail.com, if you wish to pursue help for your 11-year-old son on an ongoing basis. There is usually no charge for consulting with me via email or on the phone (if you give me your best phone number at my email address and ask me to call you, I can usually schedule a time to chat with you on the phone if that is better for you than email communication. In the meantime, are you home-schooling your son because you wish to do so, or because the school does not have a satisfactory program for him? You should also consider looking into brainwave entrainment ideas, as it is an effective method of helping kids with ADD/ADHD without the use of drugs. It is electronic help for the brain and is very useful, especially in those cases where one is hesitant to use drugs. Nutrition is an important issue for kids with learning difficulties. Dr Amen has some suggestions in this regard in his book mentioned above. Magnesium and B12 deficiencies can significantly contribute to learning problems. These levels can be checked by your doctor. And I can provide helpful suggestions in this regard. Using a high-quality fish oil can be very helpful for kids with ADD/ADHD. And of course, you need to look after yourself! If Mom is exhausted, she is not the best help for a child who needs a lot of help!